Illustrations used as a pattern with a blue overlay to match the brand colours of Hello Bank. 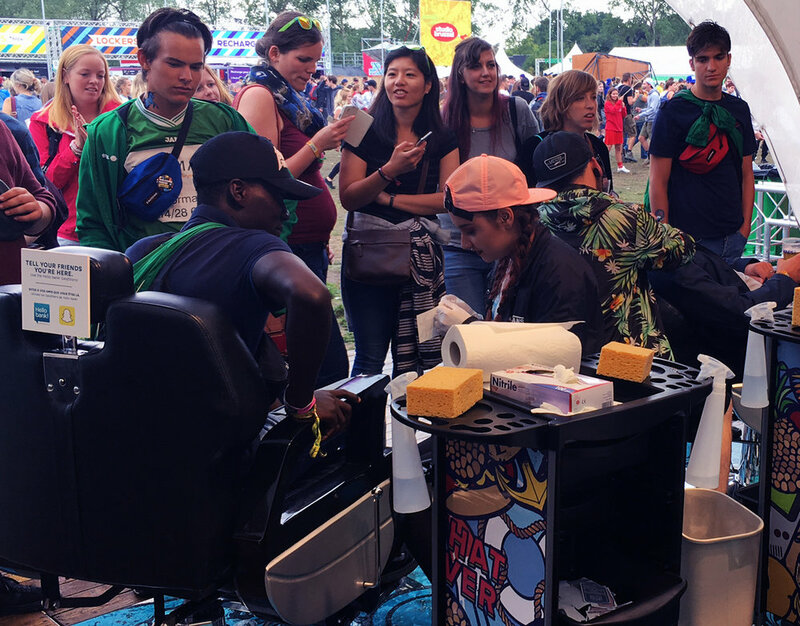 Festival visitors could enter to get a free Musketon sticky tattoo at Dour and Pukkelpop festival. Illustrations used as a colourful pattern to decorate the inside of the Hello Bank booth. Next to tattoos people could also visit the booth to grab some free textile stickers, draw, recharge their phone or just take a break from the festival. Elements used to give it an authentic look and feel. Barber chairs and tattoo shop props to match the theme of the booth. 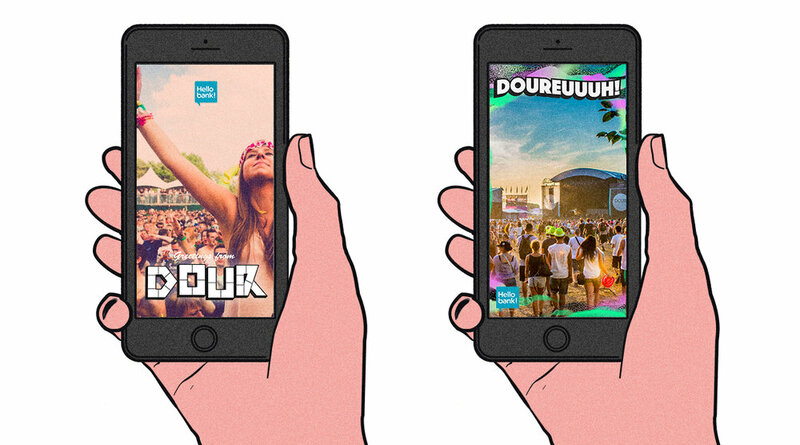 Snapchat geo-filters for Dour Festival. Snapchat geo-filters for Pukkelpop Festival.